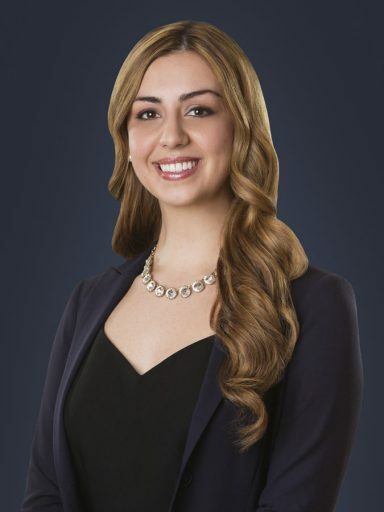 Vasiola Bibolli summered with Mazin & Associates and has now returned as an Articling Student. In her role, Vasiola assists with legal research, drafting memoranda and attending on motions. Vasiola received her Juris Doctor from the Faculty of Law at Thompson Rivers University (TRU) in British Columbia. She was actively involved in the TRU law community as an advocate for the Thompsons Rivers Oral Advocacy club and the Kamloops Immigrant Services. Her passion for justice awarded her the opportunity to work in TRU’s first Legal Information Service. Here, Vasiola was exposed to various areas of law where she gained a solid background for understanding and grappling with complex legal issues. As a caseworker, she interviewed clients, researched legal issues, provided clients with legal information and presented in public legal education workshops. Vasiola also developed a reputation for being an “outstanding writer” and is currently working towards a publication for one of her term papers. Vasiola has a natural aptitude for helping individuals whose lives have been adversely affected due to significant injuries. As an advocate, her focus is to empower people in difficult legal situations in order to move forward. Her emotional intelligence coupled with a desire towards favourable legal outcomes allows her to strive for the best result. Her educational background and experience in one of Canada’s leading insurance companies fostered a passion to represent clients in various serious personal injury matters. Vasiola has a keen interest in automobile tort claims, medical malpractice and brain injury cases. Prior to law school, Vasiola earned a Political Science degree with Honors from York University. Subsequently, while assisting the Accident Benefits department of a national insurance company, she completed a Masters of Public Policy, Administration and Law from York University. Her educational pursuits have equipped Vasiola with strong analytical and writing skills. In her spare time, Vasiola enjoys travelling, hiking, attending Muay Thai and yoga classes, reading a good book and exploring world cuisines with family and friends.